Is It Time to Replace Your Insulation? 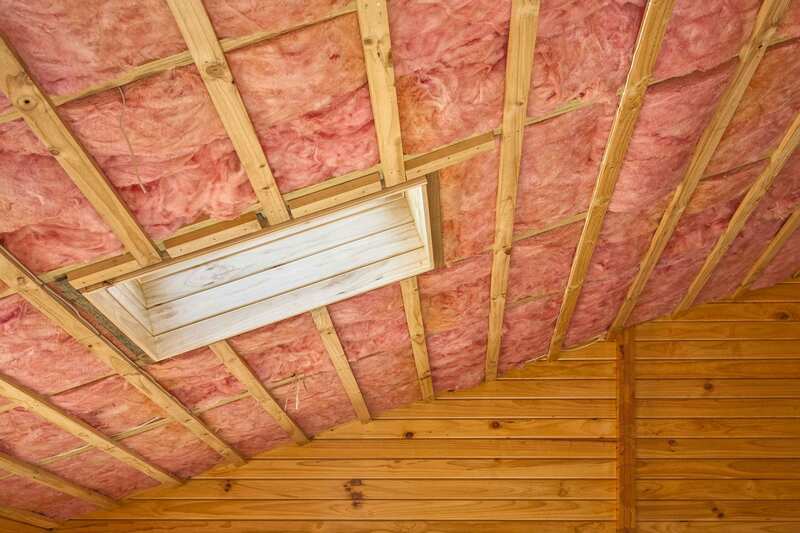 Everyone knows that the majority of homes utilize insulation to help control the temperature inside, keeping us cool in the summer months and warm in the winter. Although most people are aware that their home has insulation in it, many are unaware that insulation has a limited effective life span. Here are 5 indicators that the insulation in your home may need an upgrade. Have you noticed that your energy bills seems to be creeping up in cost every month? Was it much cheaper to heat or cool your home 5 years ago than it is now? Poor insulation in your home and more specifically in your attic may be to blame. Unless you constructed your own home with the specific mindset of creating an energy efficient house, you can likely reduce your current energy bills by adding and updating your insulation. A revamping of your current insulation, installed by a professional such as Assured, can reduce your current energy bills up to 30%. Investing in a new insulating system is also a great feature to tout about if you are selling your home in the near future, where you can proudly display your new, significantly lower energy bills to the potential buyer. Not only will you be reducing the amount you see on your monthly bills by updating your insulation, but you will also be reducing the workload on your furnace and air conditioner. When your home is not insulated properly, your major heating and cooling appliances will have to work twice as hard, reducing their lifespan and making the probability of a breakdown much more likely. Do you find yourself reaching for an extra blanket or sweater more often while spending time in your home? Often we can physically feel the effects of poor insulation through rapid indoor temperature changes or drafts. If you notice that there are odd air movements or drafts when you have all your windows and doors firmly closed, there may be air entering your home in areas where your old insulation is now failing. Updating your insulation will immediately ratify this issue, and make your living space much more comfortable and enjoyable to spend time in. Perhaps you bested the rat that you have living in your garage and successfully caught it in a trap. That single rat may be the least of your worries as it may be part of a much larger family. If you have discovered any signs of rats, mice, squirrels or any other pests you should immediately call a professional to ensure they are completely removed before they cause thousands of dollars in damage or risk your family’s health. We highly recommend Bugmaster Kelowna to help with any pest issues you may be dealing with, and not just because they are our sister company. So what do rodents have to do with the temperature in your home? Insulation is one of a rodent’s favorite nest-building materials. Mice, squirrels and rats will chew and move massive amounts of insulation, leaving parts of your home completely un-insulated. If you have had a pest infestations of any kind, the integrity of your insulation should be checked soon after to ensure they have not caused any unseen damage. If you have noticed any leaks, excess moisture or visible mold recently, your insulation may be compromised. Once insulation is exposed to water or any other liquids, it will very likely no longer be effective. Even a flood in your basement can cause water damage in your attic’s insulation as the moisture rises and searches for places to escape the home. Wet insulation leaves your home exposed to the outside temperatures but it can also be extremely dangerous to your health, and the integrity of the rest of your home. Mold loves to grow in old insulation and all the spores need are a small amount of moisture to begin to reproduce and flourish in your home. Mold in your living space can release deadly mycotoxins into the air which can cause a long list of potential health risks. For more information on how dangerous mold is, read our recent article on how mold can destroy your home and your health. Do you live in an older home that has required several renovations recently? Replacing your insulation might be the next area of your house that should be updated. Older insulation has a tendency to press down and “settle” over long periods of time, leaving areas of your home exposed with thin insulation, or no insulation at all. Before modern insulation materials were developed, many homes were filled with wool and cotton in an attempt to insulate the structure. Not only are these materials not as efficient as the insulation we utilize today, but they also have a tendency to breakdown and decay overtime. If you have experienced any of these 5 indicators, give the Assured Insulation team a call or email today! After we update your insulation, you will be saving money on every monthly energy bill and your family will no longer suffer from extreme temperature changes in the home.